This is not the normal way: The President of Toyota, Akio Toyoda, commented himself the results of the Dakar Rally 2018. "The 2018 Dakar Rally reached the finish line. Facing conditions including various road surfaces, altitude and temperature differences, as well as dynamic climates, rally teams once again conquered the grueling 9,000 kilometers of the two-week competition this year." "First of all, I would like to thank all teams that selected Toyota to be their companion in battle for the tough race and to congratulate everyone who completed the 2018 Dakar Rally, which is said to have been the toughest one in history. I would like to extend my congratulations to following three teams in particular." "Team Land Cruiser Toyota Auto Body has once again emerged victorious for the fifth consecutive year in the Production Division category. Hino Team Sugawara came in first place, as well, for the ninth consecutive year, with the Hino Ranger in the Truck category (10-liter engine or smaller). Toyota Gazoo Racing South Africa finished the rally in second and third place in the overall standings, with the brand-new Hilux. 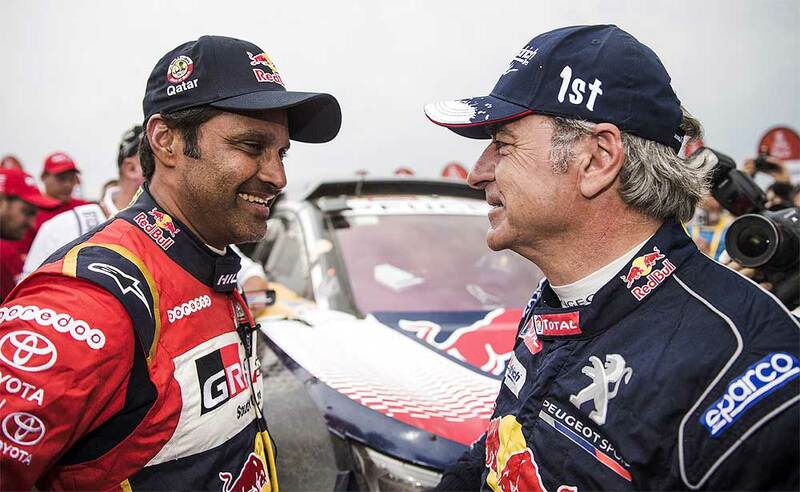 Again, I extend my sincere congratulations to the teams and everyone involved in this rally." "Watching footage of the rally, I could not help but be drawn in and feel the tough nature of the road and have thoughts of how unforgiving nature is, as well as if it is really possible that vehicles can run in such environments. With numerous vehicles being forced to retire during the rally, I am appreciative of the demonstrated performance and potential of the Toyota vehicles that completed the rally through the battling of such tough roads." "The Dakar Rally, which I watch in the beginning of every year, serves as a re-affirmation of the significance of the words "roads make cars." This year and going forward, the Toyota Group as a whole will strive to continue to make ever-better cars by traversing the wide variety of roads and terrains across the world. I would like to thank you for your continued support."